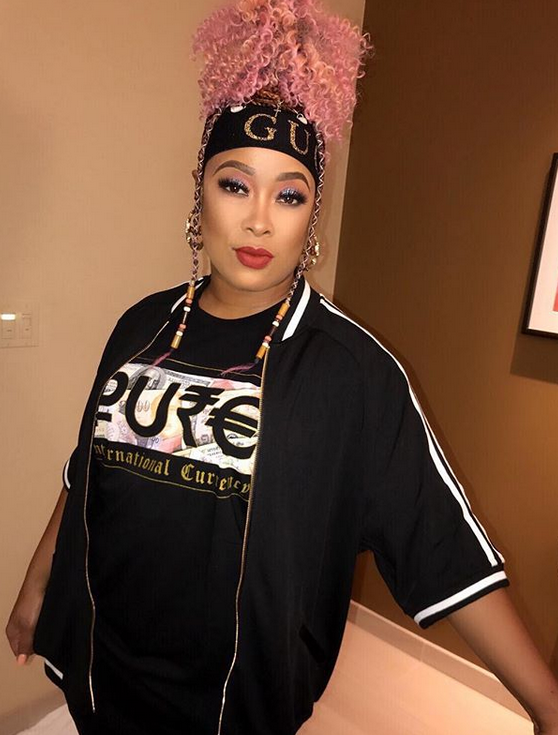 Rapper/radio personality Da Brat has reportedly filed Chapter 11 bankruptcy, a form of bankruptcy that involves reorganizing finances to pay off debts. According to The Blast, the "Rickey Smiley Morning Show" co-host owes $7 million in debt, and most of that stems from that $6.4 million judgement that was filed against her by the former NFL cheerleader, Shayla Stevens, the woman she bopped in the head with a bottle in a nightclub. She served a three-year jail sentence for it AND she has to cough up some major cash. The "Funkdafied" rapper also repotedly owes Sony Music over $1 million, owes Ally Bank $12,000, owes the Georgia Department of Revenue over $2,000, she has over $2,000 in credit card debt and she owes an unknown amount to the IRS. The site claims her assets total $108,700.65, while her liabilities total $7,782,249.57. Yikes. Her assets include a 1999 Mercedes 238i ($5k), a 2014 BMW 328i ($15k), and a 2016 Jeep Wrangler ($23k). Da Brat also lists furniture and household goods worth $8,000, electronics in the amount of $3k, a treadmill and elliptical for $2k, $20k in clothing (which she notes is necessary for her job), three dogs (listed as $0), two necklaces worth $15k, and various royalty agreements with an unknown value. Her monthly income as an entertainer/radio personality is $9,319 but her expenses total $10,506.55 a month, leaving her in the hole every month by $1,187. The rapper has made $75k so far this year, $106k in 2017 and $92k in 2016. Last December, the site reported Brat owed an extra $1 million+ for refusing to pay up, which then made the total owed $7.8 million. Sheesh. No, she's not broke, but she has hella bills to pay. By the way, Brat will join Jermaine Dupri and several other acts for the So So Def 25th Anniversary Cultural Curren$y tour, set to kick off October 14th in Washington, DC, and it will end in Los Angeles on November 2nd.